Taunggyi Time (ေတာင္ႀကီးတုိင္းမ္): Burma-Why Advocacy? It came to no surprise and is well expected that ICG, (International Crisis Group) came up on the side of the Burmese military bullies against the entire people of Burma and the international community as it had always done, since the Burmese Junta assumes power in 1988. But I would humbly like to point out some of the fallacies. (2) It seems to recognize the theory that dictators can change the name of the country and the national flag without the consent of the people and the country because ICG continue to use the word Myanmar and not Burma? The word Myanmar is phonetically wrong. It comes from the word Mrama a South Indian word because the Burman believe that they originated from India as the Burmese saying goes in Burmese as Myan Ma Ah Sa Ta Kaung Ka (ျမန္မာအစတေကာင္းက). Hence it should be spell MYANMA without the R as the end MA is pronounced softly in the English word of MOTHER. 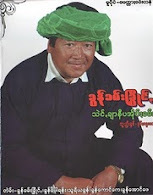 Besides in the contemporary history of Burma during the independence struggle against the British, Bogyoke Aung San, founder of modern Burma stated with Doh Burma A Se Ayone (ဒုိ႔ဗမာအစည္းအရံုး) and not Doh Myanmar A Se A Yone (ဒုိ႔ျမန္မာအစည္းအရံုး). It must be remembered that founded on 1947 Pangong Concordat where most of the ethnic leaders and people willingly decided to join the Union of Burma of its free will and hence the word MYANMAR is politically wrong. So the name MYANMAR is both phonetically and politically wrong. (3) As announced that the current regime have repudiated the Panglong Agreement which explicitly means that it does not recognize the Union of Burma and make it appear that Myanmar was a monolithic whole since time immemorial save the British interlude and that the ethnic nationalities were a rebellious bent on Balkanization hindering the creation of a nation state. The ICG seems to believe this hypothesis and hence unwittingly encouraging the ethnic cleansing policy imposed by the Myanmar over the Non Myanmar. (4) Yes! Daw Aung San Suu Kyi, Ambassador Derek Mitchell, Secretary of State for Southeast Asia and Pacific Affairs, Kurt Campbell have all admitted that there is a possibility of change, but so far there not a single concrete step has been taken in terms of the release of more than 2000 political prisoners placed in inhuman conditions. Most importantly there is no cessations of offensives to the resistance ethnic nationalities, not to mention restoration of basic civil liberties or lifting the media censorship. (5) ICG statement reads “The Association of Southeast Asian Nations (ASEAN) seems convinced that Myanmar is heading in the right direction and may soon confer upon it the leadership of the organization for 2014” One cannot comprehend this statement when the Indonesia Foreign Minister and the group’s chairperson Marty M Natalegawa is still yet to go to Burma for a fact finding mission before putting up to the ASEAN Board for decision. We do hope that ICG is not keen on putting US in an awkward position knowing full well that Burma by then will have the play the role of the coordinator between America and ASEAN. (6) Even though ICG is a not profiting, non partisan and prestigious organization depending on the dole out of the corporate, one will not dare not to make any wild accusations it, but our interest is very much aroused when its made its assertions in flowery Burmese, when writing so much about Africa or Arabs none of them are in their native tongues? In view of the fact that Burma has a surplus petro dollars via the oil companies we pray that you are not trying to wean out the Burmese pro democracy forces from the ethnic nationality brethren. Perhaps ICG should not construe Burma to be Brussels’ Noire Chocolat (sans sucre et lait), a black chocolate for diabetics, as it is not like by the majority of the people.